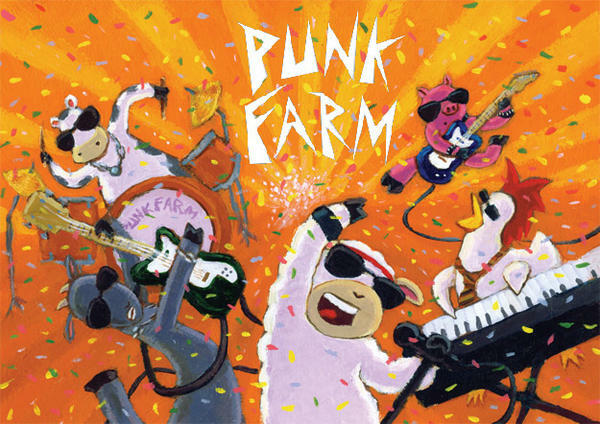 My name is Jesi and I am far and above the biggest fan of Pig from Punk Farm that ever was and ever will be! He's, like, my friend now, because I met him after a show and he took a picture with me. I will love him 4-everrrrrrrrrrrr!!!! Toby Keith RULES!!! Dixie Chicks DROOLS!!!! You are obsessed!!!!! You need to chill! No way, Sheep dominates over Pig!!!!!! How cute did Pig look at the show last night? 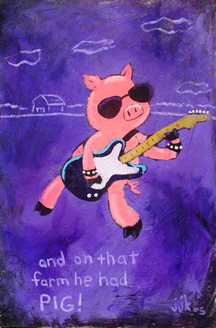 Oh man, oh man, we're going to see Pig play LIVE tomorrow night!!!!!! any part that Pig plays on PF songs. Hey Jesi!!!! R U excited about the PF show??!!! LOL!!! !